Dress Up as Your Favorite Character & Sing Along to the Animated On Screen Lyrics! Ever wanted to know what it’s like to be a T-bird or a Pink Lady but never quite felt cool enough to pull it off? Well, now is your chance to don those pink jackets, grease up those quiffs and let your inhibitions go for an evening where you are the stars. And remember… GREASE is the word! 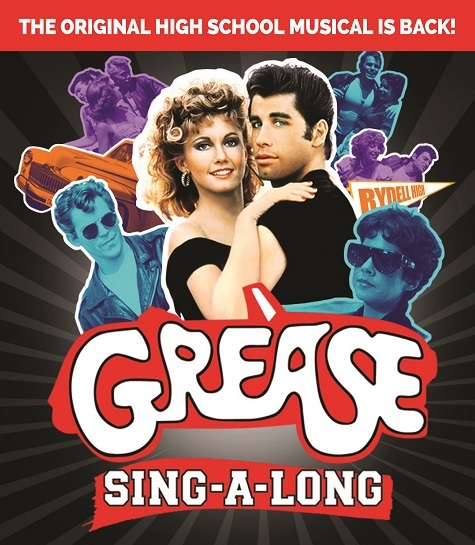 Beloved by audiences of all ages this high-energy musical follows the romance of innocent Sandy and bad-boy greaser Danny Zuko. Sit back and watch Danny & Sandy and the gang, while singing (and dancing) along to the lyrics on the screen. Sing along with the songs that everyone knows and loves. Fast cars and great dance moves in this musical homage to the age of rock ‘n’ roll makes it an all time audience favorite. Grease is the word!